The majority of the world’s population is now urban, and for most this will mean a life lived in the suburbs. 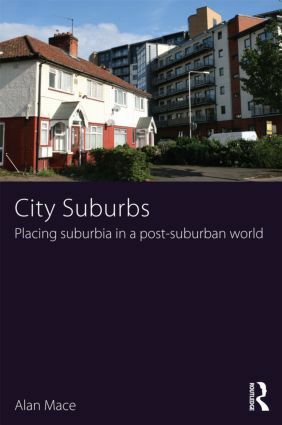 City Suburbs considers contemporary Anglo-American suburbia, drawing on research in outer London it looks at life on the edge of a world city from the perspective of residents. Interpreted through Bourdieu’s theory of practice it argues that the contemporary suburban life is one where place and participation are, in combination, strong determinants of the suburban experience. From this perspective suburbia is better seen as a process, an on-going practice of the suburban which is influenced but not determined by the history of suburban development. How residents engage with the city and the legacy of particular places combine powerfully to produce very different experiences across outer London. In some cases suburban residents are able to combine the benefits of the city and their residential location to their advantage but in marginal middle-class areas the relationship with the city is more circumspect as the city represents more threat than opportunity. The importance of this relational experience with the city informs a call to integrate more fully the suburbs into studies of the city.